Kaiser has been a dominant force in Covered California since 2014. The carrier has roughly 1/3rd of the membership in Covered Ca which is impressive since they're not in every county. Let's look at changes coming up as well as their plans and rates. We'll start with changes to their market. So what's in store for 2018 with Kaiser? Anthem is pulling out of most of the State with their Covered Ca plans. Good news for Kaiser members. 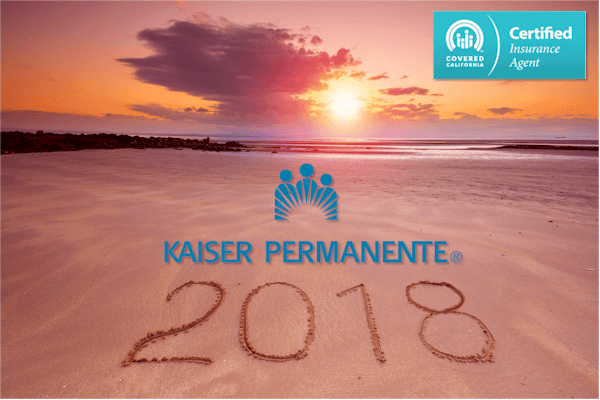 Kaiser will remain firmly in the Covered Ca system for 2018 across all their network. There are even some new additional areas such as Santa Cruz which are coming under the Kaiser fold going into 2018. Every year, there are small tweaks that apply across all the carriers including Kaiser. 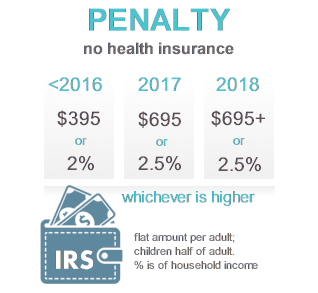 This is usually adjustments to deductibles, max out of pockets, and copays. Since the plans are standardized (same from carrier to carrier), it will apply evenly to all the carriers. Kaiser's plans will also have this. If you have Kaiser now and want to stay on the same plan with Kaiser, the Covered Ca system will automatically roll you over and re-enroll for 2018. Let's move on to what's on everyone's mind...rates! There's a reason Kaiser is a dominant provider in Covered Ca. Consistently, they are one of the lowest carriers (if not the lowest) at a given plan level. If Kaiser's in your area, they are probably cheapest. They will occasionally get competition from the regional HMO's such as SHARP, Western Health Advantage, or LA Care. These regional carrier rates are usually pretty close to Kaiser either way so it becomes a question of Kaiser's size and scale versus the more nimble and community focused approach of the regionals. We're happy to help with this comparison since they're all in the marketplace. Rates are scheduled to go up 13% on average for California from 2017 to 2018. Your rate may vary up or down from here. 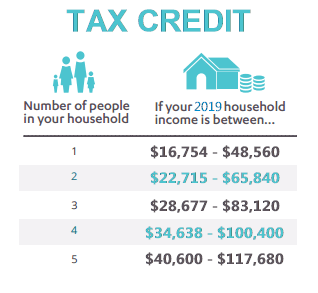 One important note...if you get a tax credit, it may offset part if not all of the rate increase for 2018. The law was designed so that tax credits would go up as rates go up. This will shield many Californians from the rate increase...at least partially. You can get the new Kaiser Covered Ca rates here starting Nov 1st. Make sure to select "On Exchange"� for the Covered California version of the plans. This is the only way to get the tax credit if eligible! Keep in mind that Kaiser is an HMO so we're comparing two different models between Kaiser and PPO carriers like Blue Shield of California. That will reflect in the rates. When you run your quote, compare the annual premium difference from level to level and compare this to the benefit difference. $2000 is a good estimate for benefit difference if we want a ball park. We can help with this comparison...our assistance is 100% free to you as Certified Covered Ca Kaiser agents. The benefits are standardized by Covered Ca so Kaiser's Gold plan will have the same benefits as other carriers. Most importantly, the Covered Ca version is mandated to have the same benefits as the off-exchange version of the same plan. You can compare the benefits and rates here but we also created a 1 page cheatsheet with the core plans side by side here. This can make it easier to quickly scan the differences. The first two are the most important. This addresses 99% of the questions and we're here for the rest. A few key plan notes. This plan is the HSA eligible if you want the ability to pay medical/dental out of pocket with pre-tax money. More information on how HSA plans work here (and we're happy to walk through it). These plans are richer versions of the Silver 70 plan available based on income estimate levels. We can see if you're close to one of the ranges. It would be a shame to miss out on much richer benefits based on a flawed income estimate. We can help with that piece and most people find their original estimate was way off! Contact us at 800-320-6269 or email us with income estimate questions. We wrote an entire article here for Covered Ca income estimate help. You'll notice that the Bronze, Silver, and Gold plans all treat the really big bill about the same. That usually means that you want to go down the scale. The Silver has been the most popular by far...especially if you're eligible for the Silver 87 or 94. Those two plans are slam dunks! What about Kaiser's network in Covered Ca? Do we get access to all those great Kaiser facilities? Network is all important with Kaiser. Since it's an HMO, you need to stay within their network of facilities and doctors. Good news for Covered California members. A big issue since 2014 for the other carriers is that the Covered California networks were much smaller (about 1/3rd the size) of the employer or old networks. Not the case with Kaiser. Whether you have Kaiser off-exchange, Kaiser through an employer, or Kaiser through Covered Ca. You can quickly see if Kaiser is available in your area by running your on-exchange quote here. If Kaiser doesn't pop up, it's not available in your area. It is an HMO after-all and HMO's require more populous areas to thrive. If you have Kaiser available in your area, you can access the full facility as needed. There are no tiers of network with Kaiser. Let's look at some questions that are common for Kaiser. Is Kaiser offered through Covered California? Kaiser has been aggressive in pursuing the Covered California market where they participate since 2014. This will continue for 2018 and beyond. 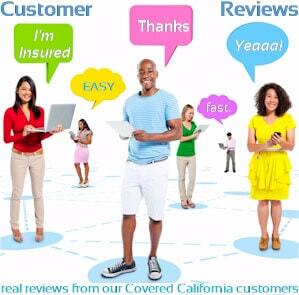 The plans, rates, and benefits are mandated in California to be the same in our out of Covered Ca so we're good there. You can only get the tax credit if on-exchange. Also, the process on-exchange (Covered Ca) has been easier. 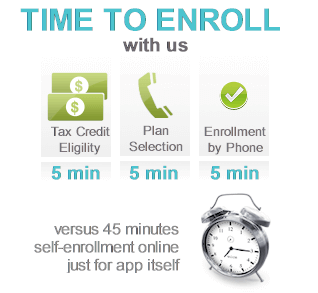 You'll see the full range of plans and rates available for Kaiser and all other carriers. As Certified Covered Ca agents, there's no cost for our services and we'll notify you if there are income breaks that would give you better tax credits or benefits. We'll also look for anything that can stall your enrollment (there are many items in the full application). 50% of the people we help who self-enrolled had incorrect entries in the full full app that prevented them from enrolling or getting their full tax credit. Access online Covered Ca Kaiser application here. Is Kaiser Cheaper in Covered California? By law, a given plan (say Silver 70) must have the same rate in or out of the Exchange. This means that Kaiser Covered Ca plans will be the exact same rate as the corresponding plan off-exchange. There's no reason to go off-exchange especially if we can't get a tax credit there! Quote and enroll in marketplace Kaiser here. Is Kaiser through Covered Ca good insurance? Kaiser definitely leads the market right now with Blue Shield close behind. It really comes down to your personal preference. Some people love Kaiser...have been there for a lifetime. Other people want access to their own doctors outside of Kaiser. There's also the question of HMO. HMO's have more control over healthcare decisions than PPO. That generally sways a person's decision. You can use the PlanFinder tool to really evaluate types of plan and actual benefit levels. Network. If you have a brand new Kaiser facility right around the corner, that's going to figure into your decision. Price. Kaiser may be the only affordable option (alongside regional HMO's). You have to be able to afford the monthly coverage afterall. Kaiser has gobbled up roughly 1/3rd of the Covered California market since 2014. That's probably going to continue and even accelerate with Anthem leaving the market. They've done this with superior pricing and a focus of providing pretty phenomenal facilities and doctor groups in core areas. Los Angeles. Bay Area. Sacramento. San Diego. A few outliers. This becomes a question of HMO versus PPO first. We're happy to walk through how this works. As Certified Covered Ca agents and licensed Kaiser agents, there's zero cost for our assistance.